Each year, Boston Pizza Foundation Future Prospects gives kids over 200,000 hours with role models. Your $5 donation adds one more hour of guidance and inspiration. 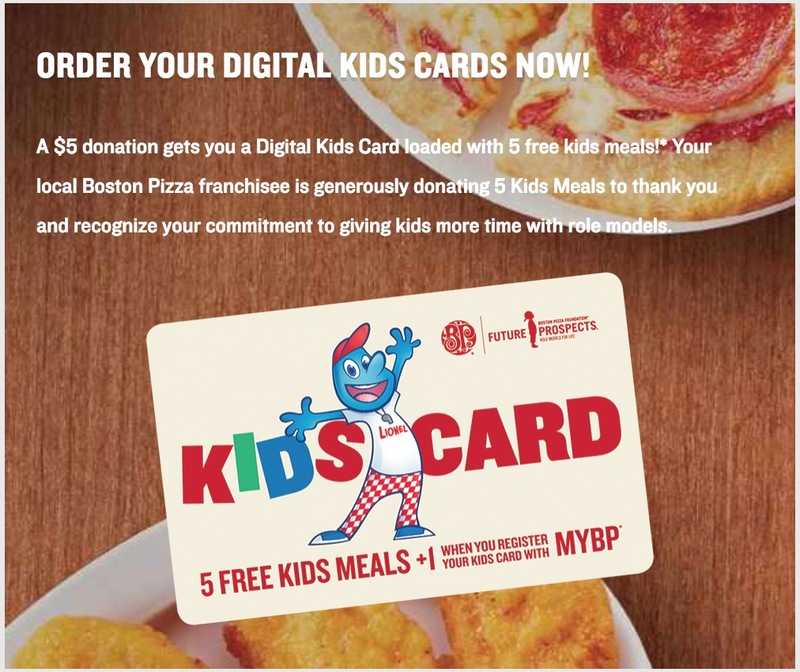 A $5 donation gets you a Digital Kids Card loaded with 5 FREE kids meals (a value of $7.99 each)! Receive one FREE Kids Meal (a value of $7.99 each), per visit with a minimum dine-in purchase of $16 (Quebec $14 minimum). You can only purchase Digital Kids Cards online, up to a maximum of 15 digital Kids Cards per transaction. This promotion is available until June 30, 2019.